Fort George was a British fort built in 1778 General John Campbell atop Gage Hill for the protection of Pensacola, Florida. The fort was the largest of a trio of fortifications on the hill, along with the Queen’s Redoubt and the Prince of Wales Redoubt. The three forts garrisoned about 1100 men. Fort George was a quadrangle measuring about 80 yards square with bastions at each comer. Within the stockade were a powder magazine and barracks. It served as the headquarters of British West Florida, which spanned from the Suwannee River to the Mississippi River. 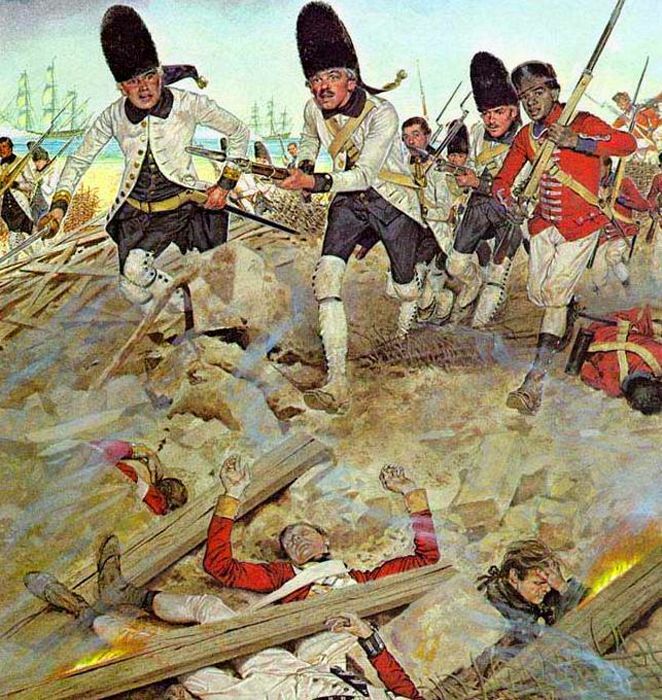 It remained in British hands until it was captured by Spanish General Bernardo de Galvez in 1781 in the Siege of Pensacola during the American Revolution in May 1781. At that time it was renamed San Miguel but the Spanish government did not occupy the fort and it was allowed to deteriorate. During the Civil War, Union forces placed a small battery called Fort McClellan on the site in 1862 but it never saw battle. Several decades later in 1889, Lee Square was established at the site, becoming home to a Confederate memorial two years later. The site was added to the National Register of Historic Places in 1974 and in 1976 an archaeological excavation discovered remnants of both the British and Spanish forts. 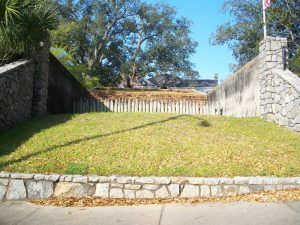 Afterward, a portion of the fort was reconstructed by the City of Pensacola on its original location and became part of the Fort George Memorial Park, which is in the North Hill Preservation District. The park is located on La Rua and Palafox Streets.